Brimming with rich traditional culture of the Ashanti tribe and the modern-day people of Ghana, the country has a diverse and rich resource base, including digital technology goods, hydrocarbons and industrial minerals, and being the second-largest producer of gold and cocoa. These resources have given Ghana one of the highest GDPs per capita in Africa, making it the fastest growing economy in the world. 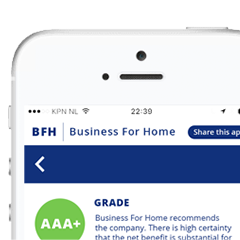 With these factors, it was a remarkable move for Alliance In Motion Global to open a branch in the country. AIM Global opened its first branch in Ghana at its capital city, Accra. Accra is one of the fastest growing cities in the whole African region. It is also designated as a Gamma-level world city by the Globalization and World Cities Research Network, indicating a growing level of international influence and connectedness. For many years, AIM Global flourished in the networking industry of Ghana because of its branch in Accra. Last March 16 and 17, 2018 marked the 2-day celebration of AIM Global Accras 4th anniversary. Chief Marketing Officer Mr. John Asperin, Chief Finance Officer Engr. Francis Miguel, Company Vice Presidents Mr. Jurgen Gonzales and Mr. Arnel Limpin and International Trainer Mr. Miko Imson together with AIM Global Ghana Country Manager Mr. Mark Anthony Alayon, AIM Global Ghana General Manager Mr. Mohammed Awal Ismail and AIM Global Accra Branch Manager Mr. Edward MagtagÃ±ob and their staff were present at the festivities. Chief Finance Officer Engr. 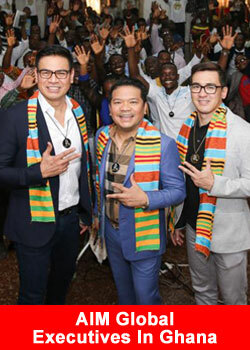 Francis Miguel, Chief Marketing Officer Mr. John Asperin and Company Vice Presidents Mr. Arnel Limpin and Mr. Jurgen Gonzales together with Ghanian leaders at the AIM Global Kumasi branch. The first day was dedicated for intensive learning and training as the company held an AIMcademy Training for its Ghanian members. Along with the 600 attendees are the Ghanian and Nigerian leaders that were invited to witness the momentous convention at the Mensvic Hotel in Accra, Ghana. Chief Finance Officer Engr. Francis Miguel lent his insight on being successful and what AIM Global leaders do daily. He said that setting the right goals, being passionate with life and compassionate to others and having the initiative to make a difference’ were the qualities that a global leader should embody. Vice President For Training & Network Development Mr. Arnel Limpin and Vice President for Business Development Mr. Jurgen Gonzales both gave encouraging workshops that empowered the crowd to become champion leaders. Mr. Gonzales shared his knowledge on how to quickly achieve ones biggest goals while Mr. Limpin revealed his formula for success in the MLM industry. Mr. Herald Manalac, Mr. Mark Anthony Alayon, Edward Magtagnob together with the Ghanian leaders. The following day, a Sales & Recognition Rally event was held at the Accra International Conference Centre with a crowd attendance of 3,000 top leaders and distributors. The events major highlights comprised of the health and wealth testimonies by Ghanian top leaders, the inspiring messages by AIM Global Executives Chief Finance Officer Engr. Francis Miguel and Company Vice Presidents Mr. Jurgen Gonzales and Mr. Arnel Limpin, the conferring of Millionaires Circle and Speakers Bureau new members, the awarding of Silver Executives, Gold Executives, Global Ambassadors and the Top 20 Contributors. Months before the 4th anniversary of AIM Global Accra branch, AIM Global Ghana finally opened its second branch in Kumasi, also known as The Garden City’, on November 5, 2017. Kumasi is the capital city of the Ashanti region in Southern Ghana and the site of West Africas largest cultural center. Kumasi is the headquarters to the Ashanti peoples commercial, industrial and cultural activities and it stands as the most populated city in Ghana with over 2.5 million population. 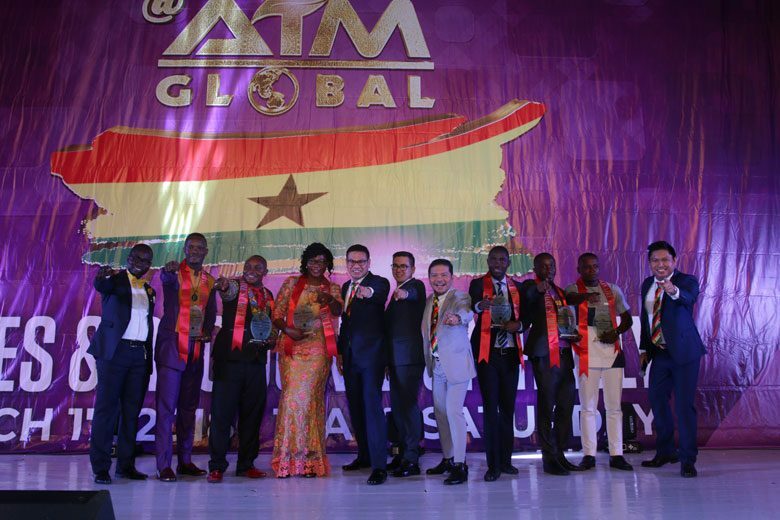 AIM Global celebrated the opening of its Kumasi branch in Ghana with over 500 attendees comprised of top leaders, special guests, distributors and prospects. 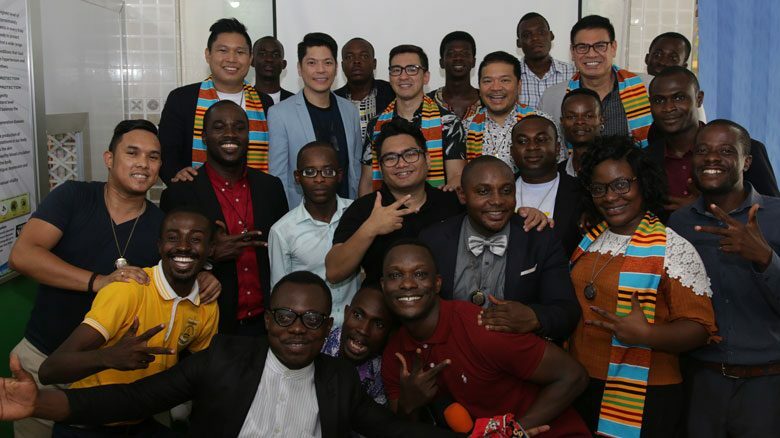 AIM Global executives and AIM Global Ghana management staff spearheaded the ceremonial ribbon-cutting along with the special guests, Mr. Jedmark Sevilla, Mr. Mallam Yakubu, Rev. Father Michel, Celebrity and Product Ambassador Akosua Agyapong, Ghanian top leaders Mr. Osman Lartey, Ms. Ramatu Issahaku, Mr. George Mensah, Mr. Bernard Donkoh, Ms. Mathilda Akudugu and Dr. Bernard Osei Mensah. Jumpstarting the event was the presentation on products and the marketing plan that were facilitated by Mr. Jedmark Sevilla and Mr. Osman Lartey. Global Ambassadors Ms. Ramatu Issahaku, Mr. George Mensah and Mr. Bernard Donkoh voiced their awe-inspiring income testimonies while Gold Executives Ms. Mathilda Akudugu and Dr. Bernard Osei Mensah indulged the audience with their Philippine Trip Incentive testimonies. The attendees listened with rapt attention and were engrossed with their moving messages, from rags-to-riches stories of the income testifiers to the inspiring stories of personal health and wellness transformations. 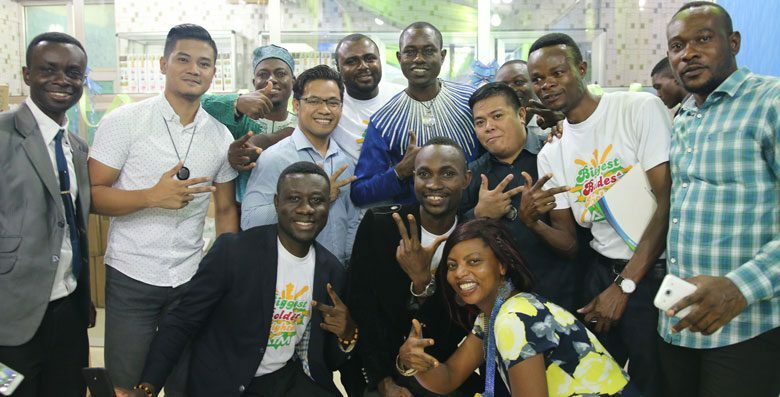 With the opening of AIM Globals branch in Kumasi, its four years worth of solid foundation at the Accra branch, newly formulated products on the way and an increased focus on their distributors, the network in Ghana is growing at a faster rate and creating the momentum that will certainly secure AIM Global to be an unstoppable force in the MLM direct-selling industry in the West African region. Founded by Network Marketing icons Raymond John’ Asperin, Engr. Francis Miguel and Dr. Eduardo Cabantog in 2006, Alliance In Motion Global (AIM GLOBAL) is the leading direct sales network marketing company in the Philippines. The company markets and distributes top of the line Nutraceutical supplements, weight loss wellness products, personal care and skincare products, functional beverages and premium lifestyle products. 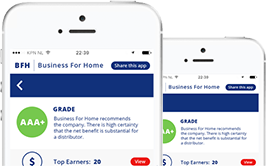 AIM Global is categorized as +AAA’ business opportunity, Top 100 Solid MLM Direct Sales Company 2018, Top 20 Momentum Direct Selling Companies 2018, Founder/Director/CEO and Visionary President Dr. Eduardo Cabantog as one of the Ambassadors of Network Marketing ‘“ Hall of Fame 2018 by Business For Home and the top awardee in the Direct Sales category of Asia Pacific Entrepreneurship Awards 2017.